Businesses are going 100% virtual, and regular offices with their nine-to-five hours are being left behind in favor of online workplaces. Thanks to sites like Basecamp, a virtual office space, better work is being done with greater collaboration and none of the roadblocks traditional office culture brings. In fact, Basecamp is a shining example of a modern company; it’s not only helping other businesses go digital, it operates solely online. 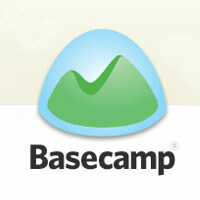 How is Basecamp making the totally-virtual model work? 1. If Everything’s Virtual, Everything is Documented When you’re working with several people or a project takes a long time, some details slip between the cracks. Verbal agreements or a conversation that was forgotten leads to misunderstandings or forgotten information. Even if it doesn’t drastically harm the project, it still slows down productivity, since fixing a problem or adding a detail as an afterthought takes time. Basecamp, however, allows remote workers to communicate through writing and keeps everything well-documented for future review. Erskine Design's Jamie Pittock said that Basecamp is a favorite of his company for creating Project Backlogs, so that they can keep track of details such as “tasks, ideas, requirements, feature requests, websites to look at, something a client’s said; anything at all.” This makes it easy to review before the project is submitted to clients, avoiding the need to revise work and guaranteeing that the first submission is the best. 2. Last Minute Changes Are Seen By All - To-Do Lists Don’t Get Cluttered The bigger the team, the more complicated to-do lists become. Who should pick up what slack; how many people should work on one task; has anyone finished theirs yet; who is waiting for updates; was that already finished and someone forgot to mark it? Not knowing what comes next is a huge hit to productivity, but repeating tasks or getting muddled on whose job is whose can lead to poor quality results and missed deadlines. In a regular office, this is usually left up to memory, and not everyone gets informed. Working remotely with a virtual office, that’s not the case. Erskine Design said that with Basecamp, “empty to-do lists are automatically moved to the completed lists sidebar,” and tasks can be listed without being assigned, so everyone knows what’s coming without the order of priority being muddled. “[The tasks] aren’t actionable yet, so you don’t want them to appear in anyone’s global to-dos yet.” 3. Clients Can Have a Look Into the Work Process When your business is hired for a project, the client waits until after the work is done to see the result, right? Not with Basecamp. It’s unique in letting a client peek through the glass at your work while your team tackles the project, so they can witness firsthand the roadblocks, progress, and workings style your company offers. This gives them peace of mind with immediate updates, and also gives them faith in the quality of work you actually do, since they’ve seen it for themselves. In a regular office, clients wouldn’t be able to peek over your shoulder; remotely? They can access it anywhere at any time. Animation company Switch Video said, “Having all communications about client projects in a central place keeps our team on track and our clients informed. Basecamp goes a long way in helping us meet our three promises: 1) We will set reasonable timelines and meet them. 2) We will keep you informed. 3) We will complete all aspects of the job.” 4. Everyone Has Access to the Communication Channel Making sure that each individual client or team member is kept updated can lead to gaps in communication as well as misunderstandings. Basecamp keeps all messages on a certain project in one place, so you can view immediately what is being said and when you’re being talked to. Even if it’s not relevant to you, having access to updates keeps each teammate informed on new ideas being brainstormed, while each client can see the progress being made. Switch Video’s Andrew Angus said, “In Basecamp, we can send general project-related messages to clients or team members anytime, and they’ll all be together in one place. Instead of replying with a new message (as you would in email), you post a comment to the original message, which keeps everything neatly together in one stream. Or we can even send comments right from the task list as we’re working through the project.” 5. It’s an Office and a Project Board – Without the Expense For a business that’s entirely virtual, having a collection of project boards isn’t going to cut it – you need that and all the digital desks, conference rooms, archives, and more a traditional office would offer. Basecamp makes that possible, with the ability to create and manage individual projects, but also create virtual rooms for the rest of your business to use – all without the price tag of renting a physical office. According to event planning company Outstanding Occasions, “[Basecamp] acts as our complete virtual office … We have a Main Office (which includes our document templates for our company and wedding pro packages and pricing), Mentorship file (where we keep all of our internal documents for the mentorship program), Business Book Library (where the Outstanding team members share their business book reviews of the business books that we all have read), Owners File (where we keep internal documents for Jennifer and I only), and then we create a new project for each new client that we get (but again, we use it internally only and do not share it with our clients. )” 6. There’s No Adjustment Time for a Working Environment There’s nothing worse than having a project management program that no one knows or understands, or a company culture that’s hard to adjust to. It hugely cuts into the workflow when new employees or clients have to spend time getting familiar with the program. Basecamp, however, so popular that few need to become versed in it, and since it’s a straightforward program, even if new employees or clients don’t quite click with the team, quality work can still be done. 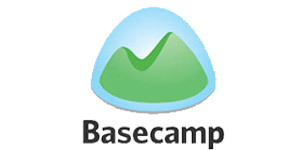 According to Don Schenck, owner of Xceeda Inc., his company encounters more clients that work with Basecamp already than clients that don’t, and it significantly speeds up the working process. The easy controls and informative tutorial makes it simple to get familiar quickly without the need for refresher courses if you leave for a while.